Amazing but sweet Great flavor profile with tobacco, spice vanilla and very smooth. It is dry but a bit too syrupy sweet as well. Otherwise it would be a 10. Smooth This is great for the money. Vanilla and apple spice flavors with a little bit of banana. Sweet but not overly so. 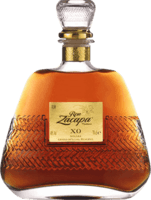 Wonderful My favorite reasonably priced sipping rum. Smooth and not too sweet. Vanilla, caramel, sweet and spicy. Good local rum Nice light rum with lots of banana and a bit of funkiness. Honey sweetness, not too sweat or dry. Solid. excellent rum Light, smooth, and not too sweet. Great sipping rum reminds me of cognac. Definitely can taste the wood from the barrels. Great mixer Nice solid rum that's a good value. Not especially smooth or complex but just solid and great as a mixer. An inbetweener This is either an excellent mixing rum or just a fair sipping rum. Almost too good for mixing. Unfortunately, it's just not great as a sipping rum. Funky cachaca Funky for a cachaca with notes of vanilla, nutmeg, pepper and woody. Not a great sipper and worry it could overwhelm cocktails like daquaris. Clement Fresh, grassy but dry and a bit harsh. Not great for sipping.